Many manufacturing companies have come and gone since we started in business. Established in 1897, we are family owned and operated. Over the years, we have established a reputation for Integrity, Reliability, and Service. Our customers know they can count on us, and it is for this reason that the names Kiddie Kraft and Marathon are known throughout the U.S.A. 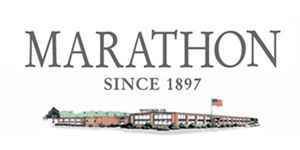 The acceptance and achievements of Marathon Company have been due to our ability to manufacture a quality piece of jewelry of superior design and craftsmanship at an affordable price. A Lifetime Guarantee accompanies every item we manufacture.